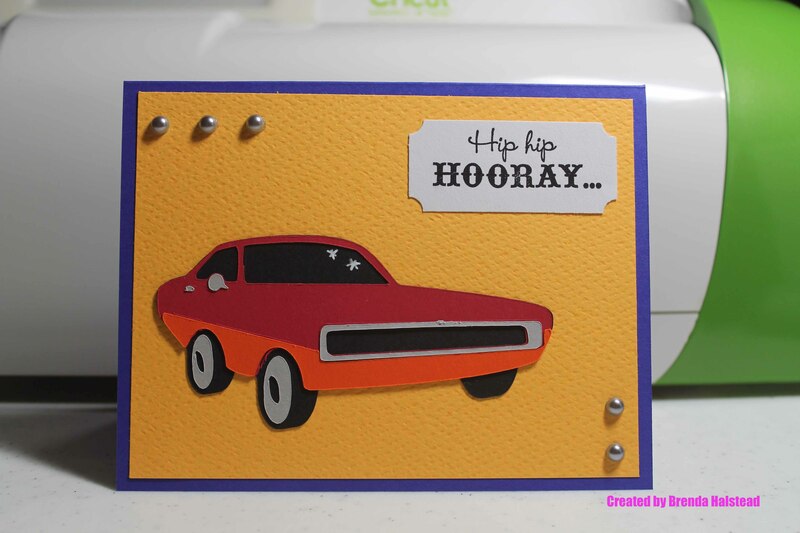 Hello, Brenda here with two cards for CricutDIVA’s Sentimental Saturday. 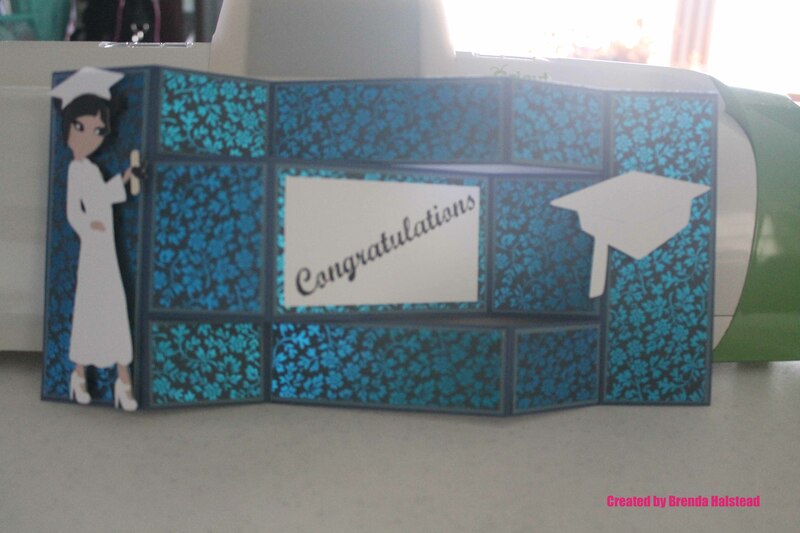 I’m showing two cards because last week there was a graduation card posted that is very similar to mine. First, here is the birthday card I made for my son. I ended up not using the white stars for the windshield of the car, because it was so small that it didn’t cut well. Instead, I used a white gel pen to put the stars on the windshield. 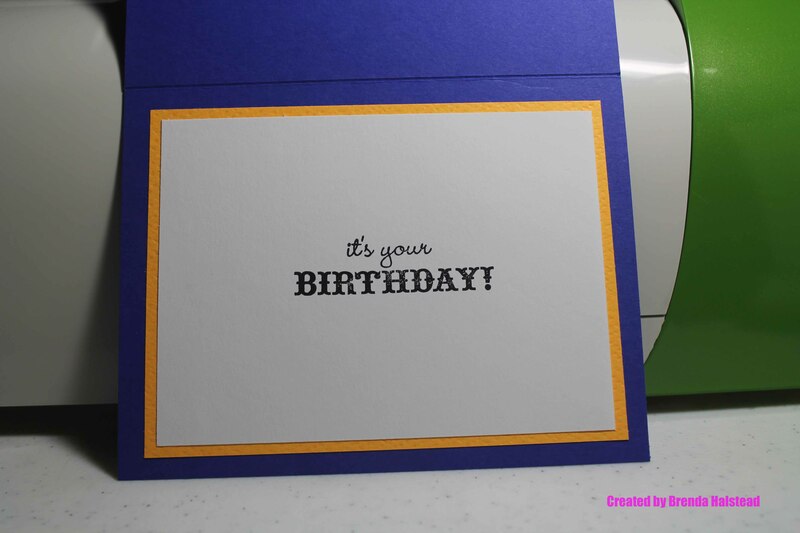 I used an EK Success tag punch to make the tag and the sentiment on the front and inside of the card is from the Close To My Heart Card Chatter – Birthday stamp set. I then added silver Queen & Co. pearls to the front. 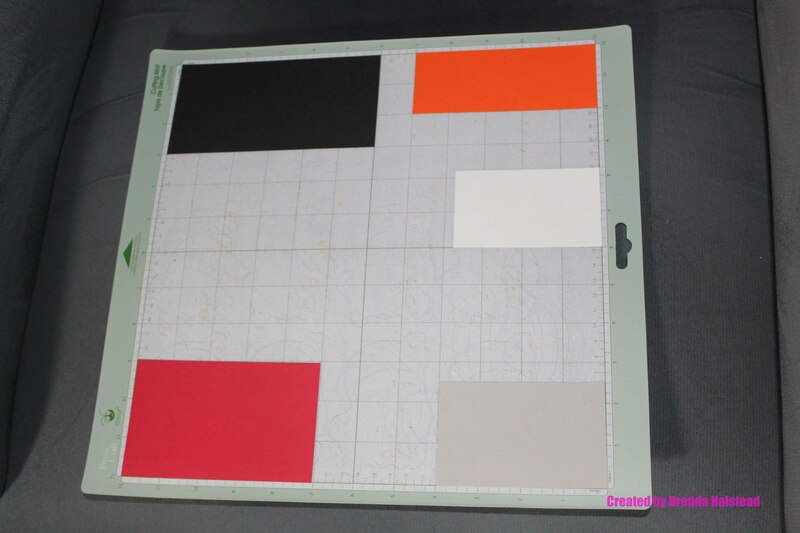 The yellow mat on the inside of the card measures 5″ x 3 3/4″, and the white mat measures 4 3/4″ x 3 1/2″. 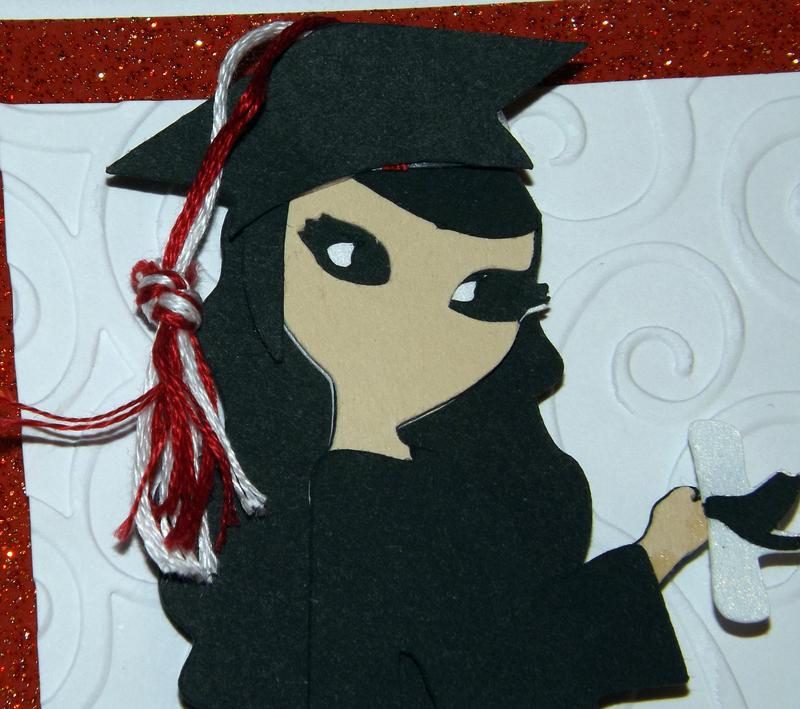 Now let me show you the graduation card I made. It is a tri-shutter card, which is the first one that I’ve made. The dark blue solid cardstock for the base is Bazzill, and the patterned paper is from the SEI Field Notes paper pack. 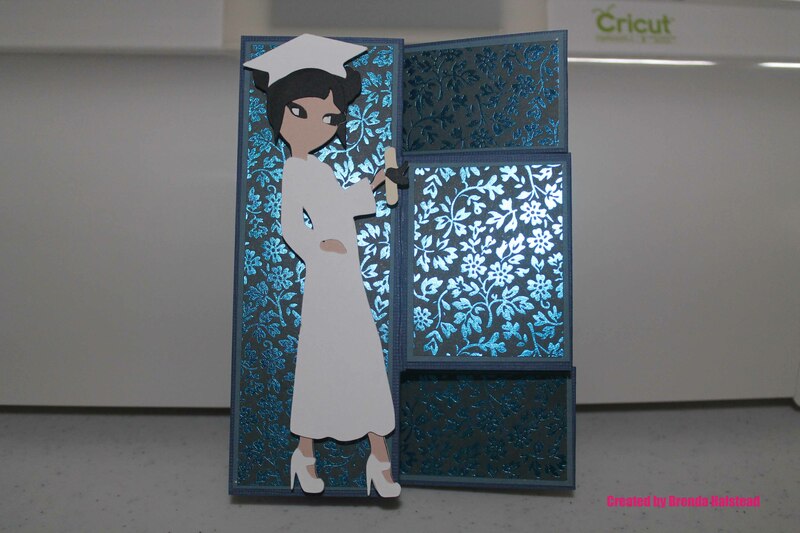 I used the Paper Dolls Teen Scene Cricut cartridge to cut the girl graduate(page 30) at 5″. 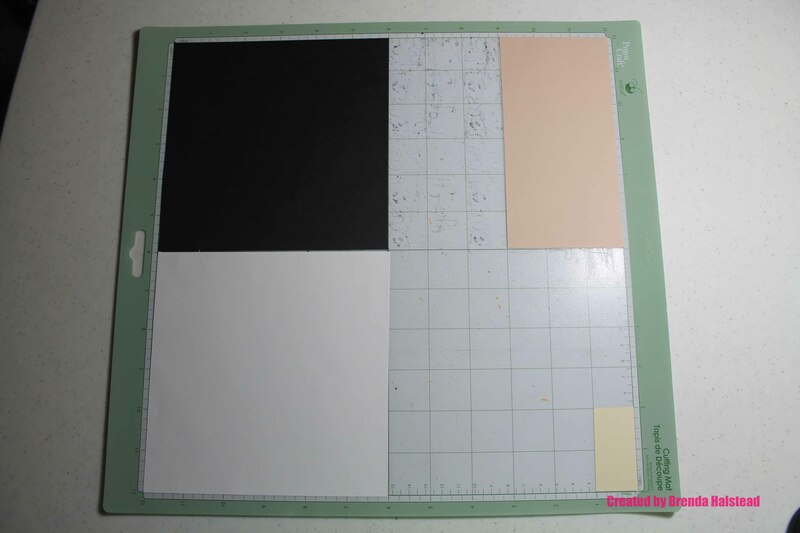 The cap was cut at 2 1/4″ using the Creative Memories This & That Cricut cartridge. The sentiment is from the TPC Studio Class Act stamp set. 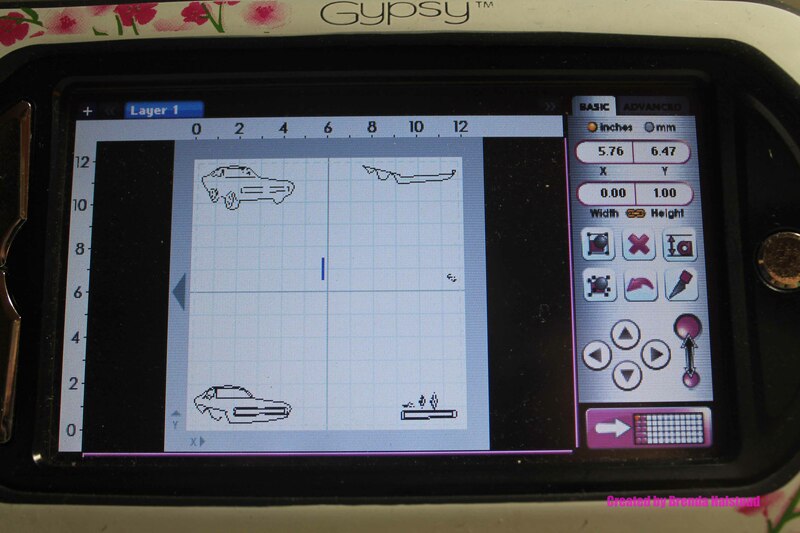 I also used my Gypsy to make the cuts, and here is the screenshot of my Gypsy as well as pictures of my mat. Hello all here is some fun inspiration for the GRAD in your life. 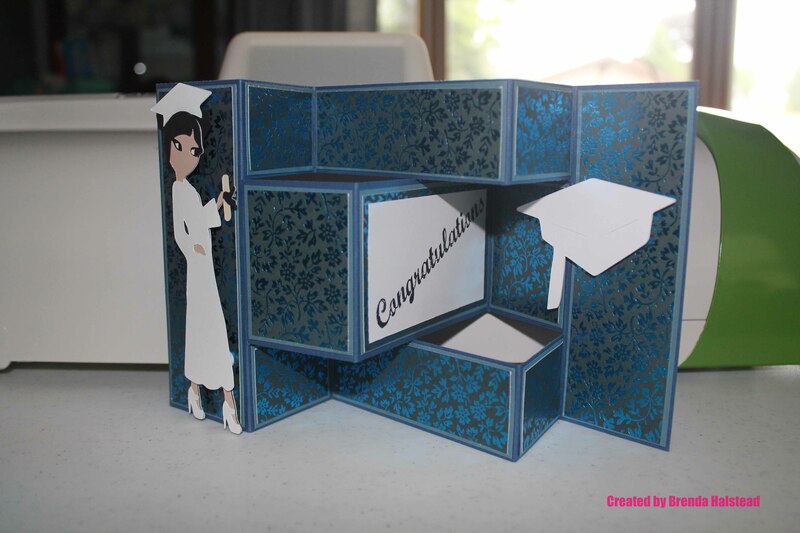 It is the season for Graduations and what better way to show someone you are proud of them then a card. For this card I used a pr-made card base from Michael’s , it was the glitter set. The girl was cut from Paper Dolls Teen Scene it was one of our freebie cartridges last week. I used just your basic cardstock and embossed the back ground with D’vine swirls. 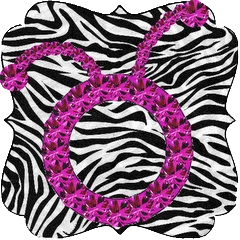 I also add ribbon, embroidery floss and stickers. The tassel I created using embroidery floss in the Graduates school colors. I folded it several times and then tied it in a knot and cut the loops to make tassel part. Then I trimmed the extra pieces that went to the hat so there were only two. I attached it with tape. 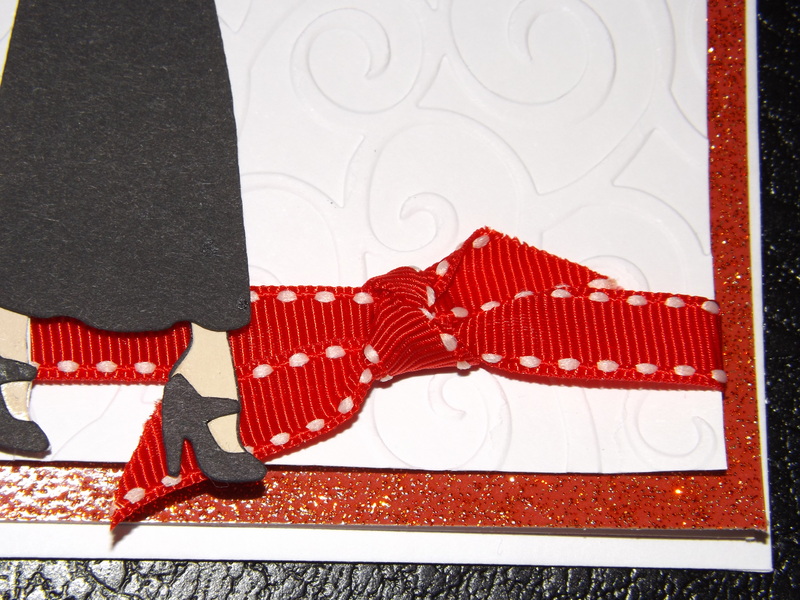 And to add a little extra detail I added a ribbon. On the inside it says Congratulations. 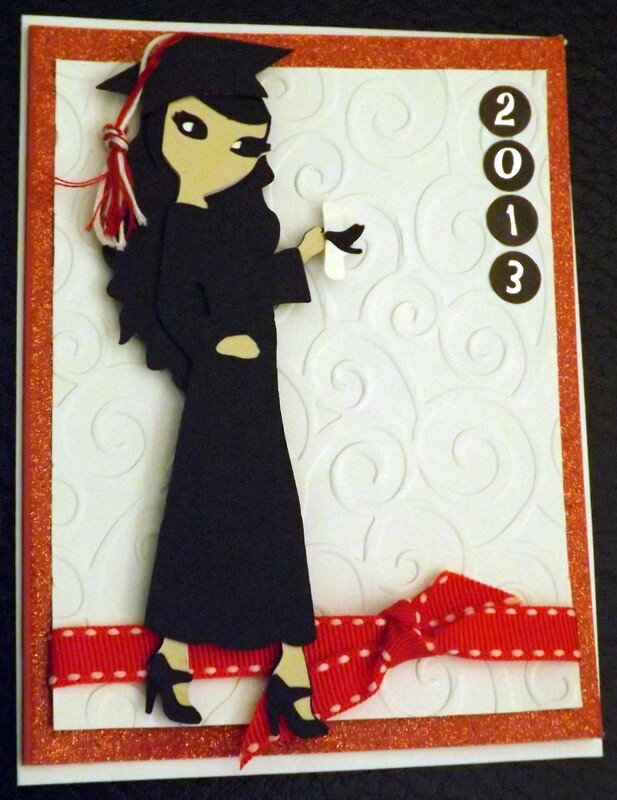 I also used foam squares to make the graduate pop off the card a little. I hope I inspired you and Happy Creating.